Ben Affleck has revealed he has completed treatment for alcohol addiction, CNN reports. "I have completed treatment for alcohol addiction; something I've dealt with in the past and will continue to confront," he wrote. "I want to live life to the fullest and be the best father I can be." 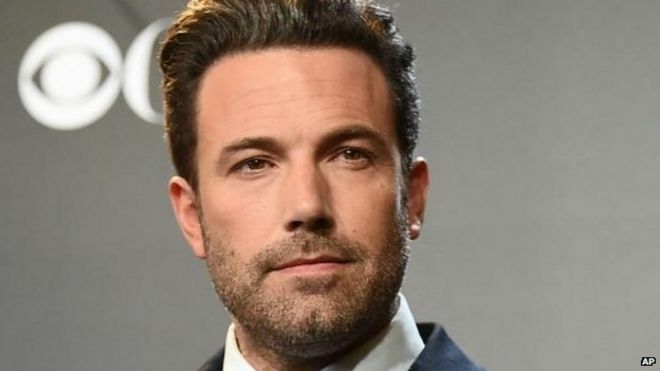 "I want my kids to know there is no shame in getting help when you need it, and to be a source of strength for anyone out there who needs help but is afraid to take the first step," Affleck wrote. "I'm lucky to have the love of my family and friends, including my co-parent, Jen, who has supported me and cared for our kids as I've done the work I set out to do." Warner Bros. announced back in January that Affleck was stepping down from his 'Batman' directing duties. At the time he said the decision was made because the role "demands focus, passion and the very best performance I can give." "It has become clear that I cannot do both jobs to the level they require," he said at the time. "This was the first of many steps being taken towards a positive recovery," Affleck added in his post.